Rajasthan meaning the “land of kingdoms” is the largest Indian state by area. This kaleidoscopic state has a rich heritage and culture which is evident in the monuments, cuisine, architecture and art. Every monument in this state whispers tales of bravery, heroism and romance of the bygone era. Welcome and transfer to the hotel after arrival at the Delhi Airport. In case of arrival in the morning, a guided tour to Red Fort, Raj Ghat (Gandhi’s Memorial) and Jama Masjid will be arranged. Overnight stay at hotel. From Delhi we drive to Mandawa, founded and inhabited by Shekhawati Rajput. This is the capital of the Shekhawati region from where the highest number of people are sent to the Indian Army. Mandawa is known as the “open art gallery” due to the popular fresco painted walls of the havelis which is why Madawa is known as “Scotland of India”. Check-in at the hotel will be followed by a sightseeing tour and an overnight stay at the hotel. We head to our next destination, Bikaner after breakfast. Dotted with scores of sand dunes Bikaner is famous for traditional cuisine, sweets and snacks. The city was founded by Rao Bikaji, a Rathore prince in 1488. The crowning glory of Bikaner is the Usta art, which is art executed on pieces of camel hide. After lunch and check-in at the hotel we go sightseeing the city. 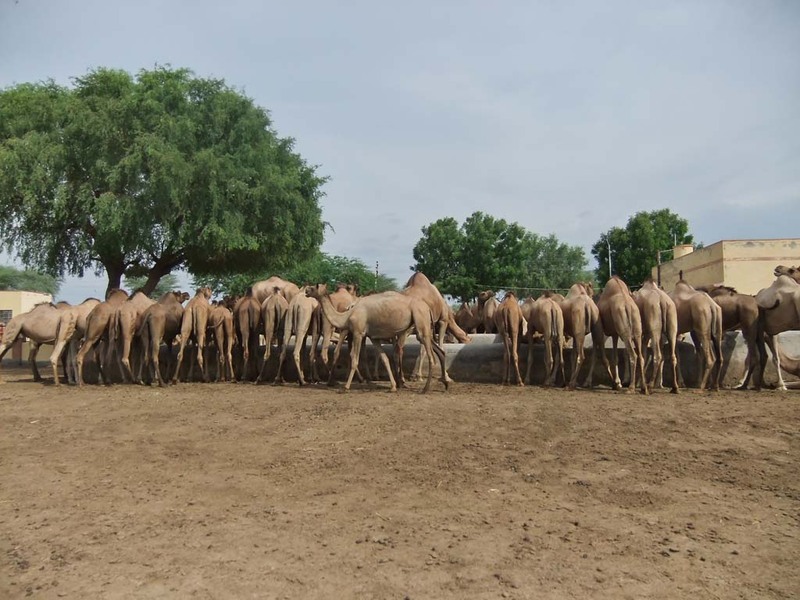 The highlights of the sightseeing tour in Bikaner are the Camel Breeding farm, Fort museum, Junahgarh fort and Lalgarh Palace. Overnight stay at the hotel. A drive to Jaisalmer and check-in at hotel followed by a guided tour around the city. Jaisalmer or better known as the Golden City is named after its founder Rawal Jaisal, a Bhati Rajput ruler. Withstanding the buffeting winds of the desert are the magnificent havelis with crenelated sandstone walls. Also known as gateway of the desert, this city gives one the Arabian Night’s feel as it rises out of the barren desert like an approaching ship. The highlights of our tour in Bikaner will be the Fort Palace Museum, Gadsisar Lake, Patwaon ki haveli, and Jain temples. Overnight stay at hotel. A visit to the Citadel or the Jaisalmer Fort, the golden fantasy in the Thar Desert, in the morning, and an excursion to Sam(45 km away) and camel ride on the sand dunes in the evening followed by an overnight stay at the hotel (or camp). Sam is located on the outskirts of Jaisalmer and is famous for sand dunes which can be enjoyed best by a camel ride. 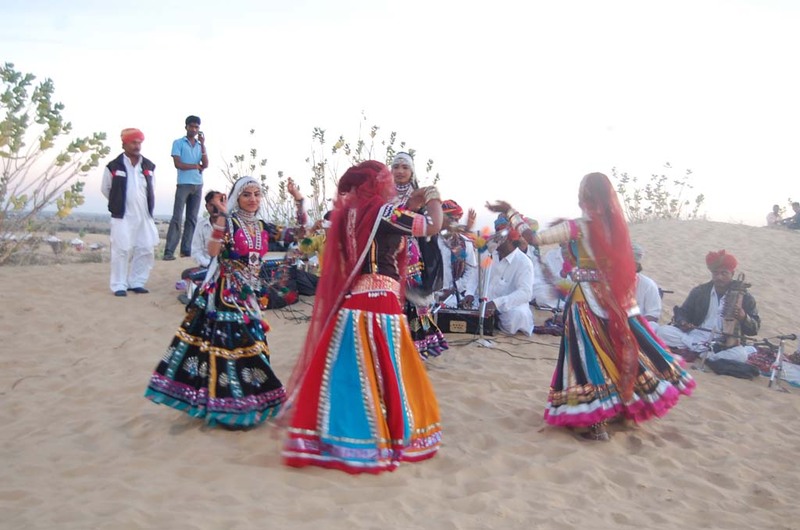 Culture and folklore are enjoyed here amidst the dunes during the Desert festival. We start an early morning departure to Jodhpur. Jodhpur also known “Sun City” or “Blue City” is the second largest city in Rajasthan and is named after the founder Rao Jodha. After check-in at the hotel, a sightseeing tour. The highlights of the tour being the Clock Tower and the Mehrangarh Fort. The Mehrangarh Fort served as the residence of the Rathore kings, is perched on 150m high hill located at the heart of the city. Overnight hotel stay. Transfer to Mount Abu in the morning and an en-route visit to Jain temple in Ranakpur. Situated on the Udaipur - Jodhpur highway is place in the Aravalies known as Ranakpur. This picturesque valley is considered as one of the five holy places for the Jain community. The Jain temple has 1,444 uniquely carved pillars and 29 halls and is considered an architectural splendour. Mount Abu, a pilgrim place for many people is the only hill station in Rajasthan, and it derives its name from a mythological figure, Arbud. Apart from its salubrious climate, it is well known for the Dilwara Temples which are the crowning jewels of the city. It is believed the Lord Mahavira, the 24th Jain tirthankara paid a visit to Mount Abu. Sightseeing in Mount Abu including the Dilwara Jain temples in the morning after which we leave for Udaipur. Overnight stay at the hotel. Udaipur is well known as the “Jewel of Mewar” since it was the capital of the kingdom Mewar for a long period of time. The Pichola Lake derives its name from the village Picholi and is an artificial lake created in 1362. The boat ride on this lake and the picturesque view of Udaipur creates everlasting and beautiful memories. 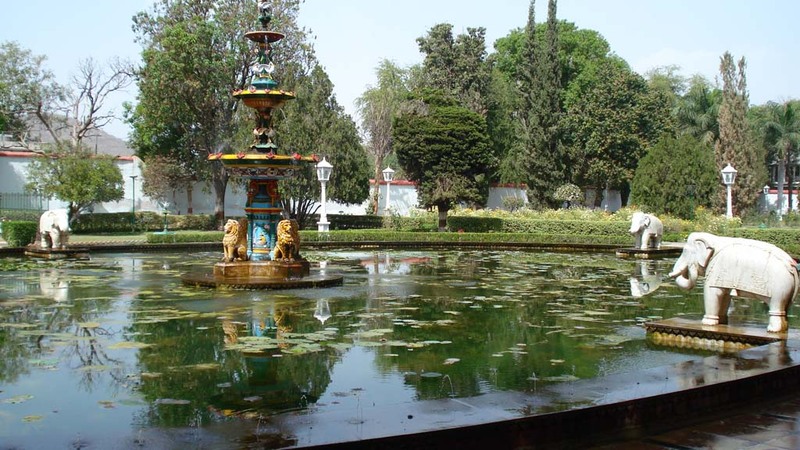 Our sightseeing tour around “City of Lakes” - Udaipur will include a visit to Sahelion ki Bari (Queen’s resort for the maids of honour), Jagdish temple and a drive around Fatehsagar Lake. Followed by a boat ride in the evening on Lake Pichola and an overnight stay at hotel. 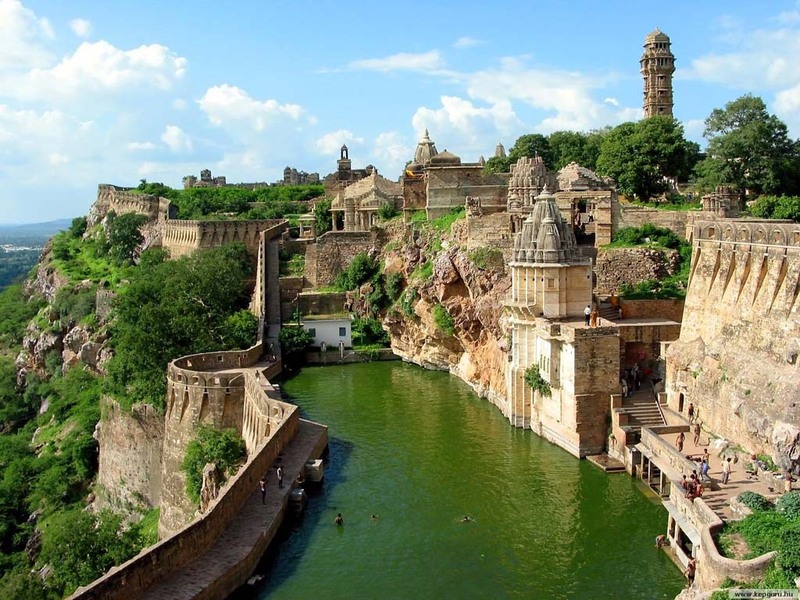 Drive to Chittorgarh the city that stands as an epitome of pride, spirit, heroism, romance and valour. After we reach, check-in at hotel, post breakfast quick sightseeing tour. Overnight stay at hotel. A drive to the Ranathambore Tiger Sanctuary after breakfast. The National Park came under Project Tiger in 1973 and is one of the largest tiger reserves in India. The Park also has the ‘Great Boundary Fault’ which is a significant geological feature. Later a visit to the Ranathambore Fort, nearby sites and temples. The Ranthambore Fort is regarded as one of the oldest forts of Rajasthan and was built in the 10th century by the Chauhan rulers. Check-in and overnight stay at hotel / resort. Early morning a Canter safari into the park, this is one of the finest tiger reserves in the country. You may like to spend the afternoon visiting nearby temples and sites. Also visit the Ranthambore Fort built by the Chauhan rulers in the 10th century, regarded as one of the oldest forts of Rajasthan. After lunch proceed to Jaipur. Upon arrival, check in at the hotel. Stay overnight at hotel / resort. We head to Jaipur or the “Pink City” the capital of Rajasthan. Here we visit the Amber Fort, which shows a unique blend of Rajput and Mughal architecture. After which we visit the City palace, which still serves as the residence of the royal family of Jaipur. The intricate carvings and colourful motifs on the walls bewitch the spectators. We also visit the world’s biggest stone astronomical observatory in a functional condition is the Jantar Mantar which is situated opposite to the City Palace. Apart from that we also tour the Jai Mahal, Jagmandir and Kali temples. Departure to Agra in the afternoon including an en-route visit to Fatehpur Sikri, the abandoned Mughal city. We start our tour of Agra with a visit to Taj Mahal, the tomb of Arjumand Bano Begum, better known as Mumtaz Mahal, which was built by her husband Shah Jahan in her fond memory. We also tour the Agra fort (a UNESCO World Heritage Site) and the Agra markets. After the beautiful tour of Agra we head to Delhi and check-in at hotel later. Overnight stay at hotel. 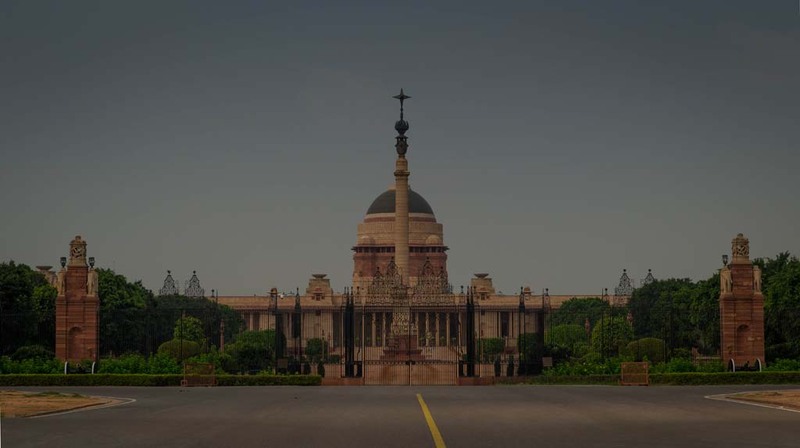 A day long sightseeing tour of Old as well as New Delhi, followed, by a drive past the Presidents House and the Parliment. The Delhi tour includes visits to Humayun’s tomb, Qutub Minar and India Gate. Departure to the airport in the evening.